2018 marks the 10th anniversary of MCAD. 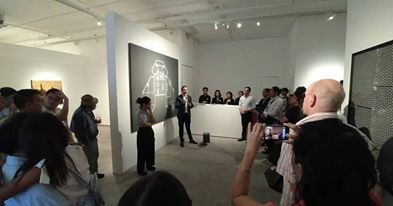 Having established a distinct identity and developed a regional presence, the Museum must continue to evolve and develop its programming to create an innovative and inclusionary paradigm where “free access for all” addresses not only a cross-section of social classes, but also of knowledges. All funds raised will support the launch of five new programmatic incentives and continue our ambitious exhibition program over the next three years. Conference – A yearly conference responsive to, and reflective of, the currents of global contemporary art and culture and the discourses that surround it. Research – The Museum plans to be a foundational base to support postgraduate research (at MA or PhD level) in the history and production of local design and material culture. Publication – The Museum’s aim is to establish an in-house publishing arm and specialise in producing monographs of contemporary Filipino artists. Residencies – Running biannually for both Filipino and International artists, the Residencies will aim to nurture and develop the work of mid-career artists by providing a space for the exploration of new work/ideas and/or progression of a current work. Mentoring – To support the continued integration and development of the College of Saint Benilde and MCAD, a mentoring programme will run as a conduit for professional artists or designers from local, regional or international fields to work directly with a Benilde Students or Alumni. 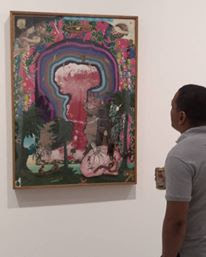 Exhibitions – Our exhibition program remains central to the Museum’s programming and audience development. Annually we host three exhibitions within the Museum and one external exhibition within the Philippines. Our ambitious future is dependent on the transformative role of support from our closest advocates. The 10th anniversary fundraiser will consist of a group show made up of work donated by eminent local, regional and international artists, many of whom have been part of MCAD exhibitions and others who are supportive of its initiatives. Whilst we encourage you to take part in the auction event, MCAD also accepts charitable, tax deductible donations and in-kind sponsorship. By supporting MCAD, you will be part of the Museum’s future, a future peopled by creative minds and a visionary outlook. The pre-auction group exhibition will open on Tuesday, 28th August 2018 from 6.00pm – 8.30pm at Corinthian Plaza, 121 Paseo De Roxas, Legaspi Village, Makati City. The exhibition will be open Tuesday to Sunday 11.00am – 7.00pm from the 29th August to the 8th September 2018. The ‘under the hammer’ auction event will take place from 2.00pm – 6.00pm on Saturday 8th September 2018 at Leon Gallery, Eurovilla 1, Rufino corner Legazpi Street, Legazpi Village, Makati.